Complete management of your account! Gain access to your web-based control panel. Manage everything about your users and account 24/7 from any computer. 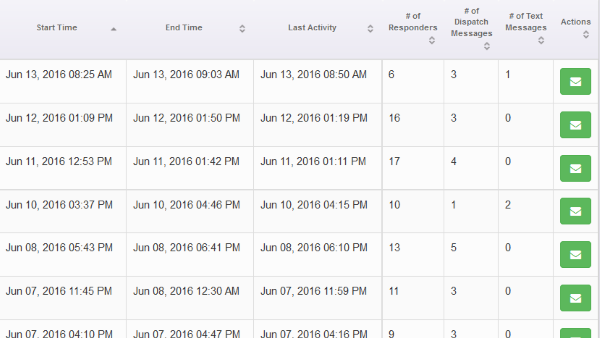 Generate reports on-demand, and monitor everything about a call from our TV dashboard. Using our web-based control panel, manage all aspects of your setup. 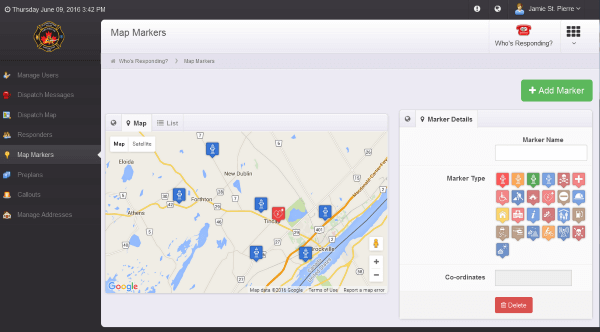 Add/Remove/Suspend users, manage map markers, view all historical dispatch messages, manage preplans for load on demand. Don't forget about our state of the art reporting! Every department setup comes with both our web based control panel, as well as our tv views. 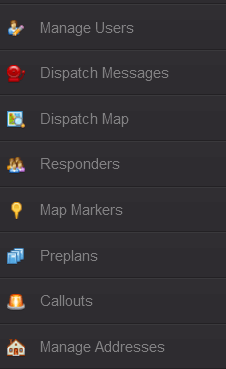 Every time we get an incident address, or any member clicks the on scene button - a map marker will be placed on a map so that you can view all of your calls geographically at anytime and by date range. View real-time statics of our incidents - how many people responded to each incident, how many dispatch messages were sent, etc. Send a call detials to your email on demand for quick printing. Modern and easy to use tools to manage your department. 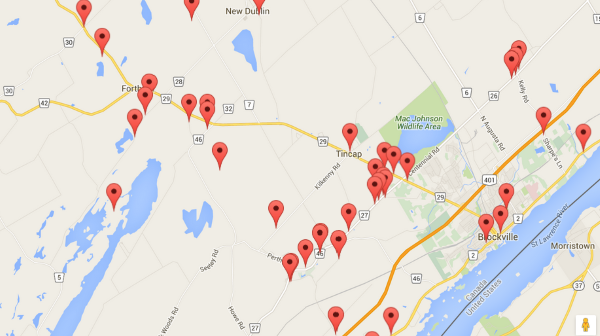 Water sources, closed roads, landing zones etc.